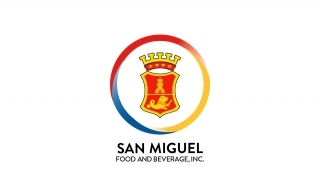 San Miguel Food and Beverage, Inc. (FB), formerly San Miguel Pure Foods Company, Inc., was incorporated on October 13, 1956 to primarily engage in the business of manufacturing and marketing of processed meat products. FB, through its subsidiaries, later on diversified into poultry and livestock operations, feeds and flour milling, dairy and coffee operations, franchising and young animal ration manufacturing and distribution. FB offers food products and services to household, institutional and foodservice customers in the Philippines. Among the brands in its portfolio include "Magnolia" for chicken, ice cream and dairy products, "Monterey" for fresh and marinated meats, "Purefoods" for refrigerated processed meats and canned meats, "Star" and "Dari Crème" for margarine, "San Mig Coffee" for coffee, "B-Meg" for animal feeds and "La Pacita" for biscuit and flour-based snacks. In early 2018, FB amended its primary purpose and changed its corporate name to the present one to reflect its expansion into the alcoholic and non-alcoholic beverage business. The Securities and Exchange Commission (SEC) approved the changes on March 23, 2018. On June 29, 2018, the SEC approved the increase in authorized capital stock of FB, by virtue of which FB issued new common shares to its intermediate parent San Miguel Corporation (SMC) in exchange for SMC's common shares in San Miguel Brewery Inc. (SMB) and Ginebra San Miguel Inc. (GSMI), completing the consolidation of the food and beverage businesses of SMC under FB. As a result of the consolidation, FB now operates its business through the following major operating food subsidiaries: San Miguel Foods, Inc.; San Miguel Mills, Inc.; The Purefoods-Hormel Company, Inc.; Magnolia, Inc.; and San Miguel Super Coffeemix Co., Inc.; as well as the major operating beverage subsidiaries SMB and GSMI. SMB and GSMI are primarily engaged in the manufacture and sale of beer and liquor products, respectively, which they market under several brands, including their respective flagship brands "San Miguel Pale Pilsen" and "Ginebra San Miguel".